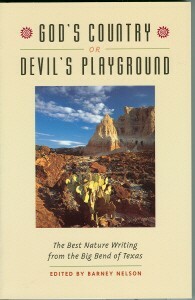 God's Country or Devil's Playground Edited by Barney Nelson. The dramatic desert landscapes of the Big Bend country along the Texas-Mexico border reminded historian Walter Prescott Webb of "an earth-wreck in which a great section of country was shaken down, turned over, blown up, and set on fire." By contrast, naturalist Aldo Leopold considered the region a mountainous paradise in which even the wild Mexican parrots had no greater concern than "whether this new day which creeps slowly over the canyons is bluer or golder than its predecessors, or less so." Whether it impresses people as God's country or as the devil's playground, the Big Bend typically evokes strong responses from almost everyone who lives or visits there. In this anthology of nature writing, Barney Nelson gathers nearly sixty literary perspectives on the landscape and life of the Big Bend region, broadly defined as Trans-Pecos Texas and northern Chihuahua, Mexico. 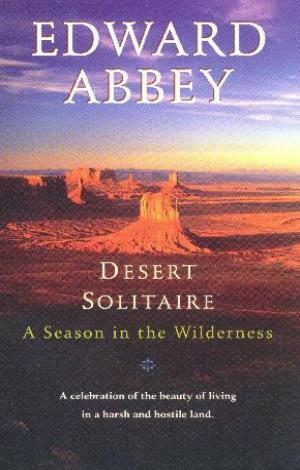 In addition to Leopold and Webb, the collection includes such well-known writers as Edward Abbey, Mary Austin, Roy Bedichek, and Frederick Olmsted, as well as a wide range of voices that includes explorers, trappers, cowboys, ranch wives, curanderos, college presidents, scientists, locals, tourists, historians, avisadores, and waitresses. 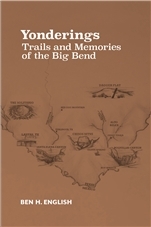 Following a personal introduction by Barney Nelson, the pieces are grouped thematically to highlight the distinctive ways in which writers have responded to the Big Bend. University of Texas Press. 6" x 9" softcover. 348 pages. 2002.